Comedian and former 8 Out of 10 Cats team captain Jason Manford will star in a new BBC comedy series called Scarborough. He will work alongside former Coronation Street regulars Catherine Tyldesley and Stephanie Cole, in a show written and directed by Benidorm creator Derren Litten. Scarborough will centre on a community in the North Yorkshire seaside town of the same name, where people are bonded by friendship, family and karaoke. The writer said the series will be full of "laughter, love and intrigue", and will be unlike his previous scripts. Filming has begun on the BBC Studios production, which will focus on the romance between Manford and Tyldesley's characters. 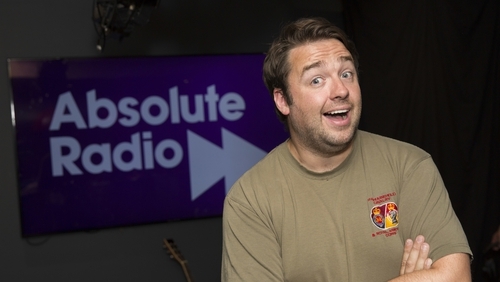 Manford plays the ambitious Mike, who is giving up life as a performer to restart his failed relationship with Tyldesley's Karen. Litten said: "Even though I've stuck close to themes I clearly love - the seaside, pubs and karaoke - Scarborough is unlike anything I've written before. "I'm genuinely flattered by the calibre of actors my scripts have attracted and I can't wait for BBC audiences to get caught up in the laughter, love and intrigue I've created, all set against the backdrop of this beautiful North Yorkshire fishing town." Benidorm's Steve Edge will also star in the new show, while Maggie Ollerenshaw (Open All Hours) and Claire Sweeney (Brookside) have also been announced as part of the cast.